These are pretty easy to make! They’re great party decorations for indoors or outdoors! Pour the chunky glitter on a plate. Spray adhesive on the bottom third of each balloon. 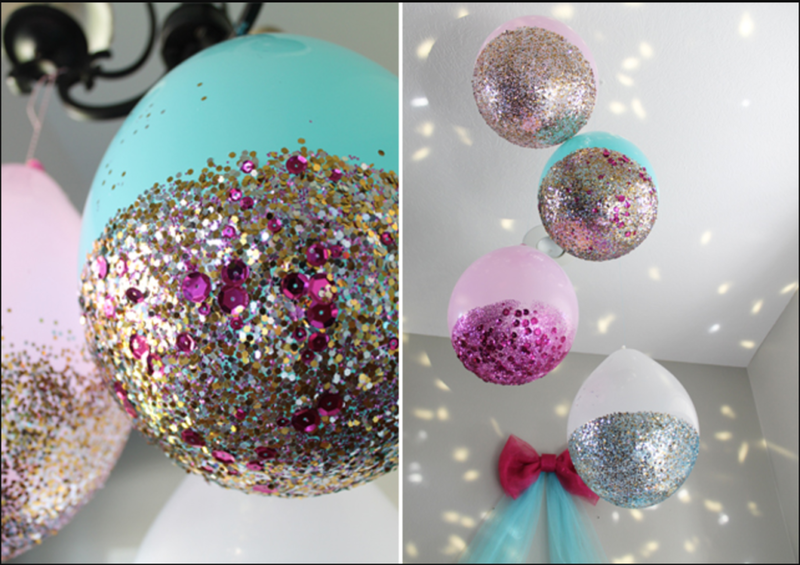 Roll the sticky part of the balloons in glitter until totally covered.